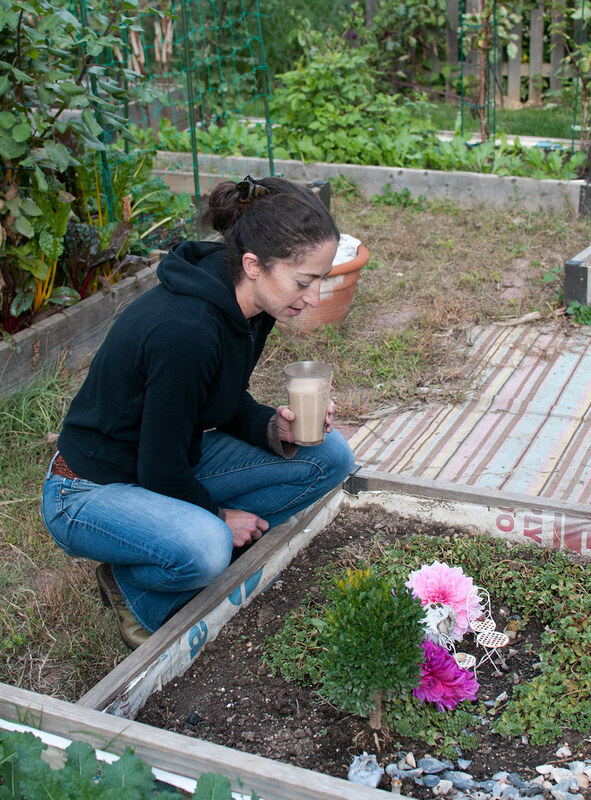 We met JC last year when her garden was one of the standouts on our 2014 Urban Farm Tour. JC was gracious enough to invite us back for a fall gardening workshop for DIY Del Ray readers. 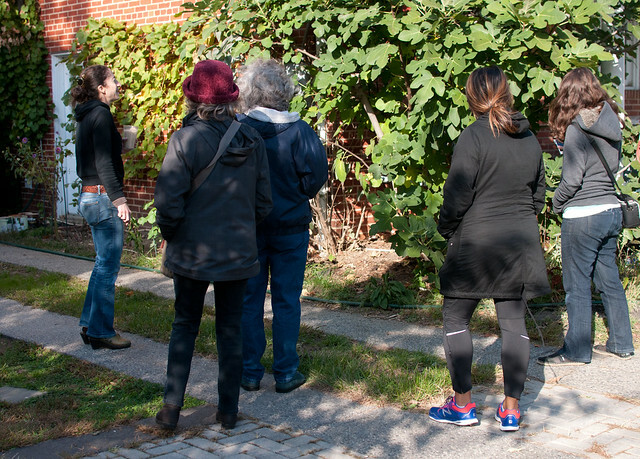 Not only did we learn what vegetables we can grow in the fall, we also walked away with tips for how to keep our gardens going all year long — yes, even right here in Del Ray. Our tour started with the front of JC’s property where she grows enough fruit to satisfy her family of four. 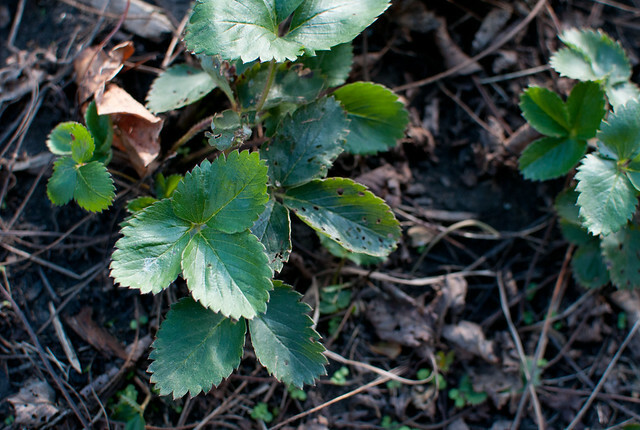 Strawberry plants create a lush groundcover in the fall, with delicious strawberries making an appearance in the spring. If you want to limit your amount lawn mowing, grow strawberries. 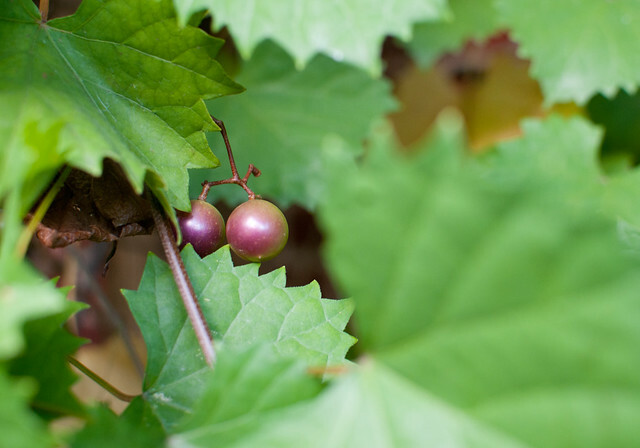 Did you know birds have no interest in sour cherries? Apparently so, we learned. But they do love strawberries and figs, so plan to net those if you want more for yourself. 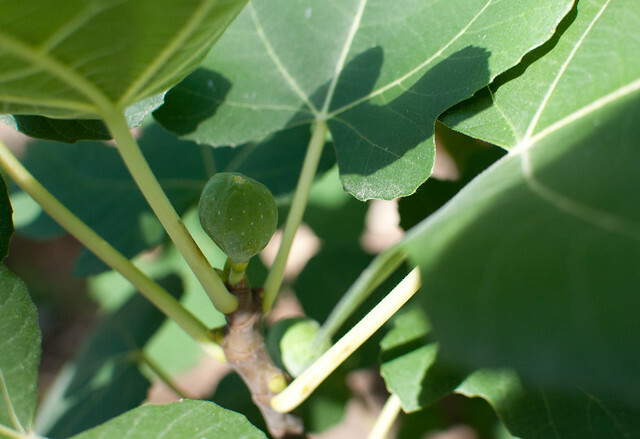 JC admits she didn’t get to enjoy as many figs as she wanted this year, but there are still a few ripening on this tree. 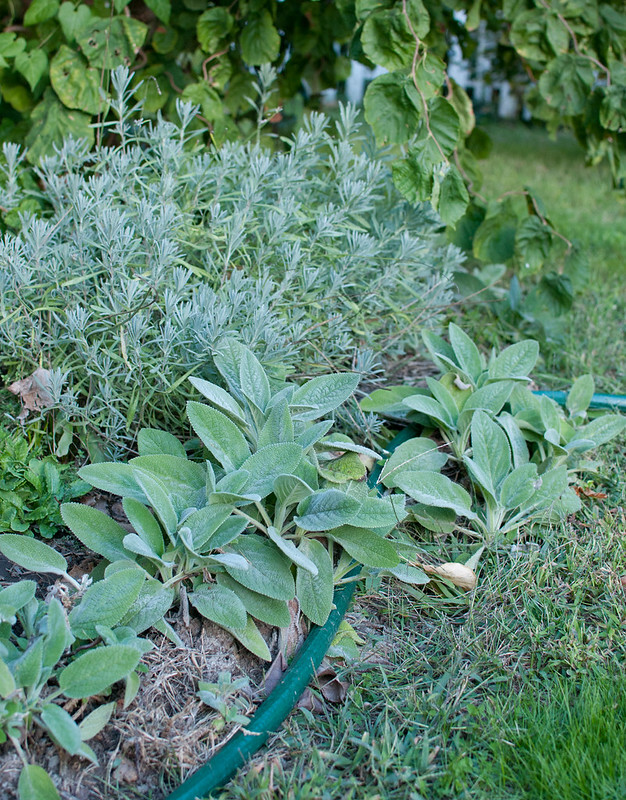 Herbs, holly bushes, and hazelnut trees also grow in the front yard. As the hazelnut trees get bigger (they are new this year), they’ll form a natural wall over the wooden fence. This side of the house faces west so it bares the brunt of afternoon sun. 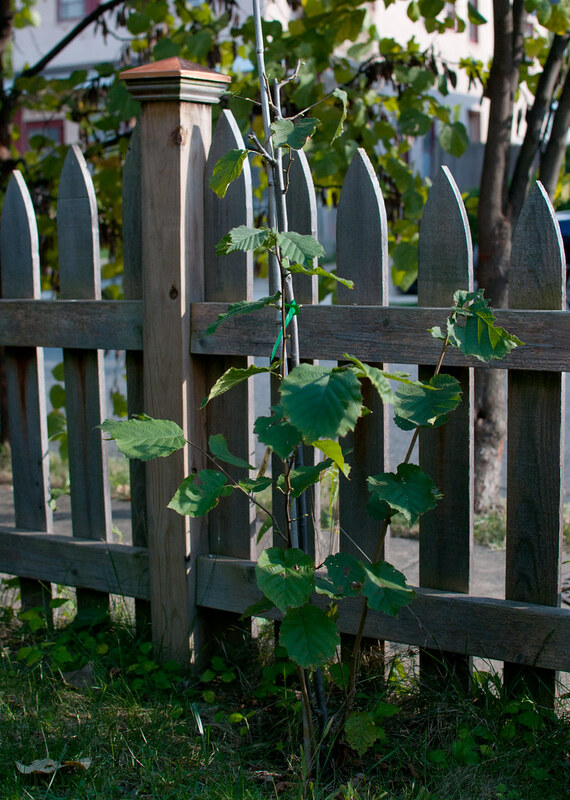 JC takes advantage of the sun by growing sun-loving grape vines. 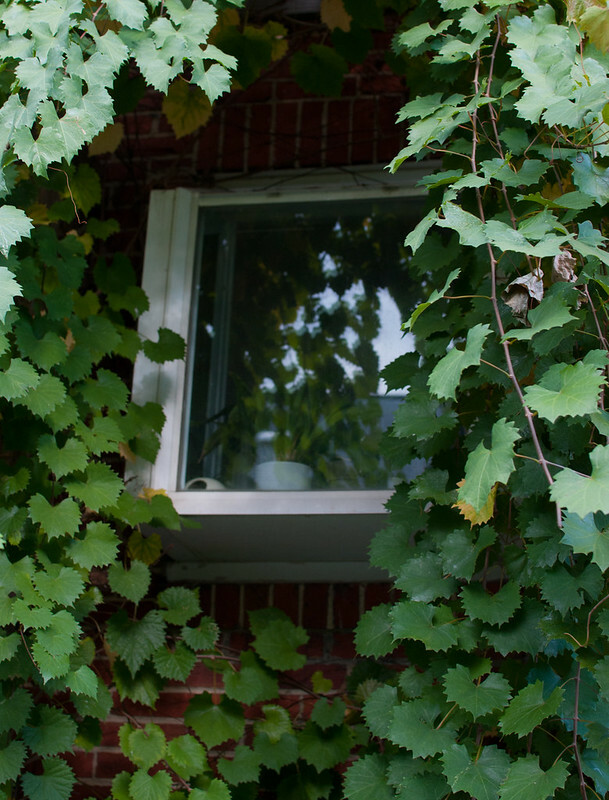 As an added bonus, the vines provide shade, cooling her kitchen inside. 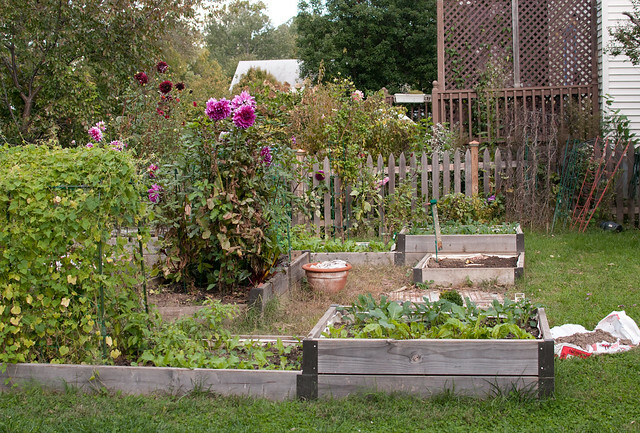 The bulk of the garden is in the back yard. 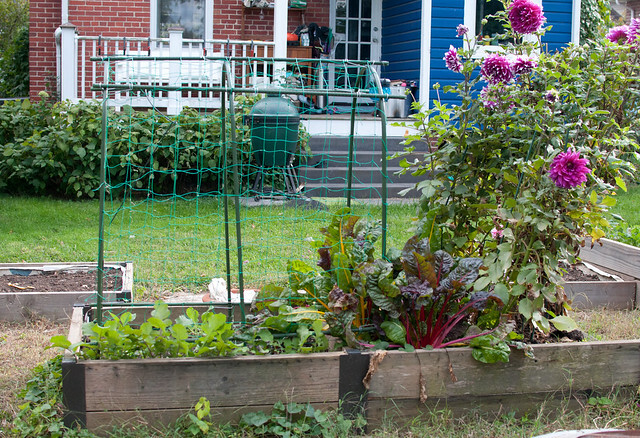 It’s not a huge yard — yet it is large for Del Ray standards — and JC uses space wisely, phasing in plants at various times of the year so there’s always something producing food. 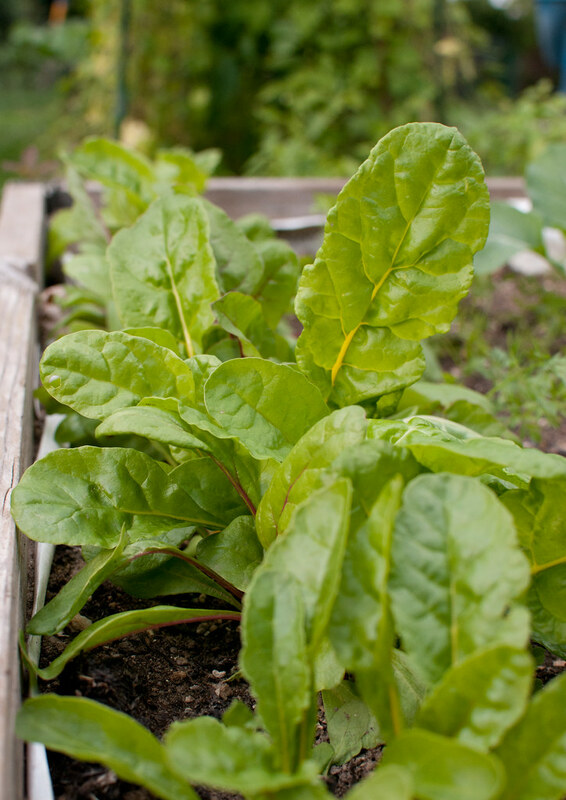 Right now, as the summer crops fade out, cold weather crops such as cauliflower, kale, Swiss chard, radish and arugula are flourishing. 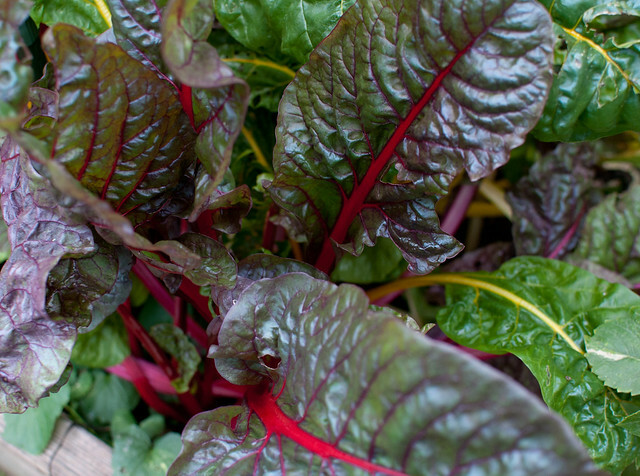 Cooking tip: Swiss chard tastes better when you grow it in the cold months. JC’s husband built all the cedar beds himself. They treat the cedar with an organic oil and each board has a lifespan of about seven years. 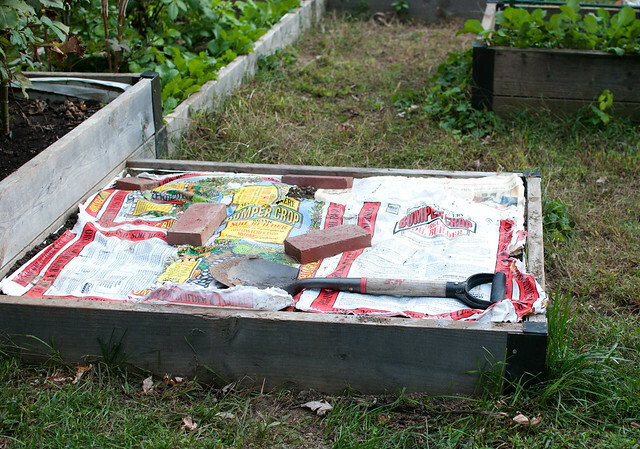 The beds have metal corner pieces so it’s easy to swap in new boards as needed. 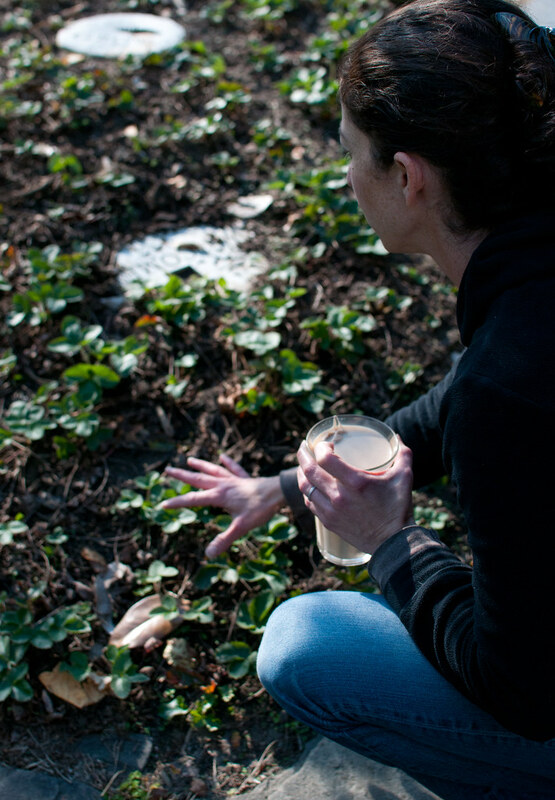 As for soil enhancements, JC swears by Bumper Crop Soil Conditioner which you can pick up at Greenstreet Gardens. Another DIY project, these frames support vine plants throughout the year. 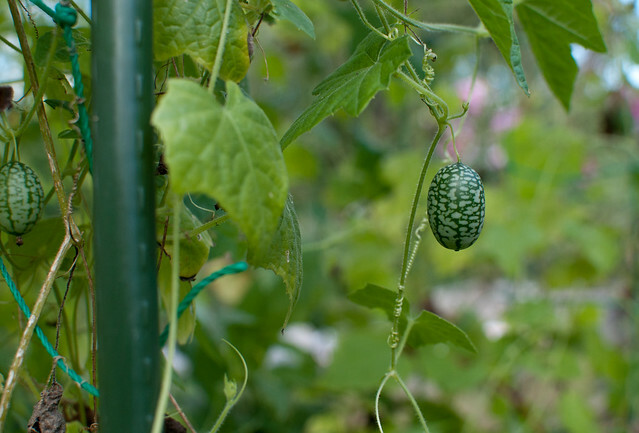 This one is currently in use with an abundance of grape-size cucumbers — the cutest cucumbers you’ve ever seen — called Mexican sour gerkins or “mouse melons.” You can eat them straight from the vine and they also taste great pickled. 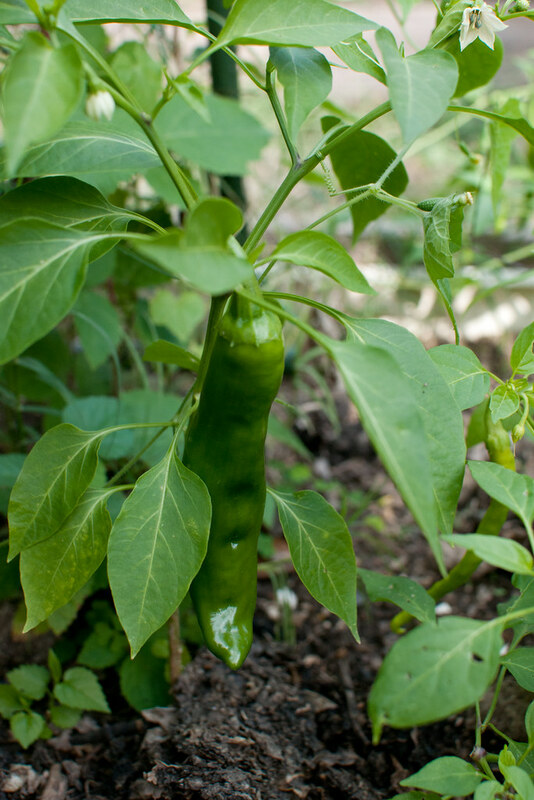 The pepperoncini peppers at the base of the frame aren’t too shabby either. 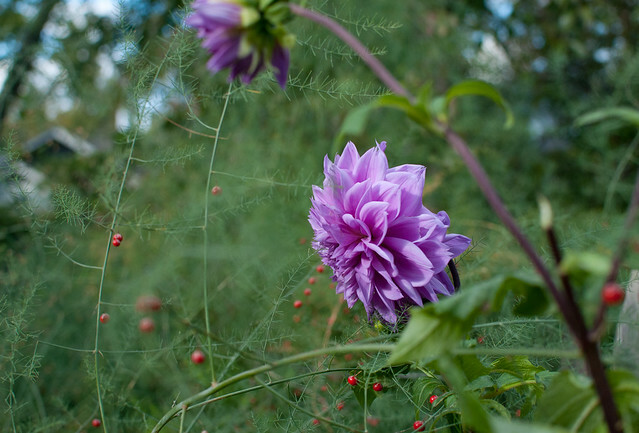 JC’s whole family has a stake in the garden — her kids get to pick what they want to grow in the summer. There’s even a fairy or two taking up residence. 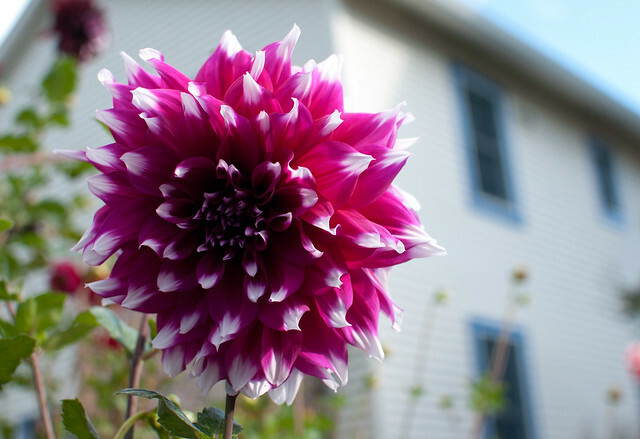 You can’t help but notice the flowers interspersed throughout the yard — some of the largest, most magnificent dahlias we’ve ever seen, still looking lovely in the month of October. I mean really, who wouldn’t want a bouquet of these beauties in a vase on your dining room table. She also grows sunflowers in the summer just to attract goldfinches. Nestled under these plastic covers, flower bulbs wait for spring. The plastic keeps them protected from the squirrels. A few other remnants of summer remain… burgundy okra (some already gone to seed) and asparagus ferns. A note about asparagus: Be patient. 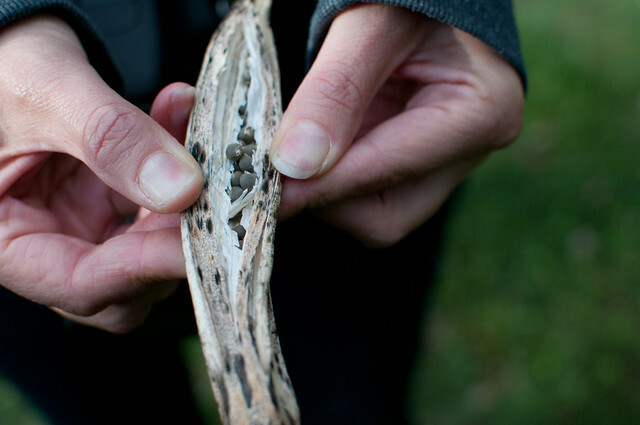 JC says it can take three seasons before you can harvest vegetables from new asparagus plants. JC also shared tips on how you can keep your fall crops going even when the temperatures dip in winter. 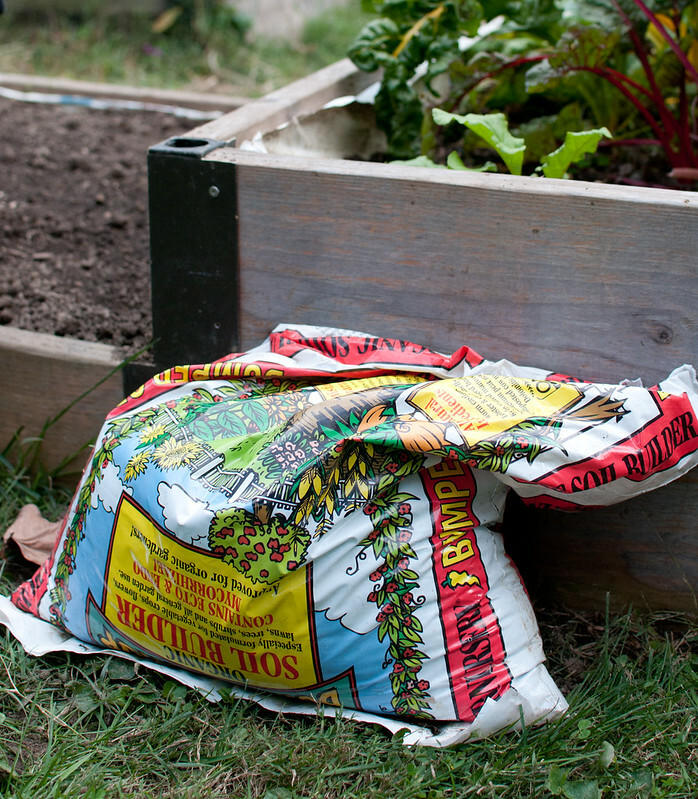 And, we learned how you can naturally double the amount of produce your garden provides. How? Stay tuned for part two this week.